One 18 karat yellow gold ring with a platinum top. 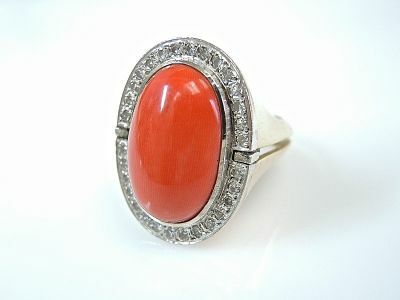 One oval cabochon coral (13.40 carats). Thirty (30) single cut diamonds (0.23 carats: SI clarity: H-I colour).